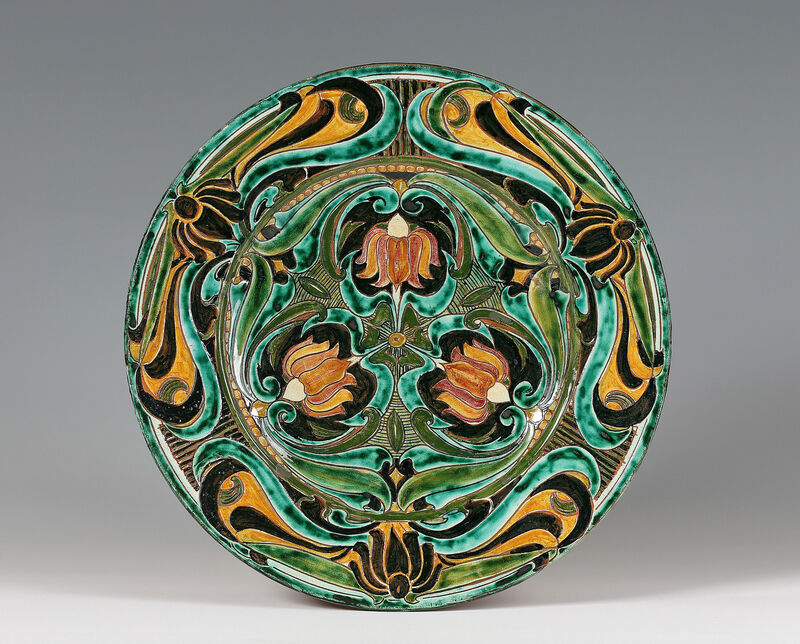 The dish strikingly painted in vivid turquoise, ochre, green and black with a stylised swirling floral design radiating from three flowerheads in the well and on the border. The Della Robbia pottery factory in Birkenhead near Liverpool was founded by Harold Rathbone, son of a wealthy local businessman and himself an artist and a pupil of Ford Maddox Brown. He was inspired whilst travelling in Italy by the work of the Florentine sculptor Lucca della Robbia and his family. Back home he set up the factory in 1894 on the principles of William Morris and the Arts and Crafts movement using local workman and local material and trying to revive traditional skills and pride in workmanship. 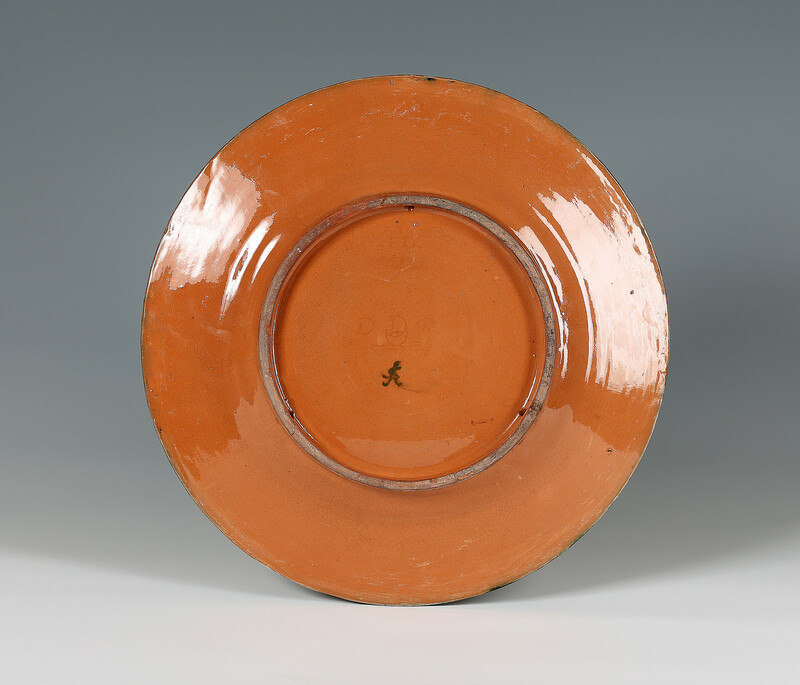 Rathbone strongly encouraged the artists at his pottery to develop their own skills and style. After twelve years in business the factory ran into financial difficulties and had to close. The sgraffito artist who signed with the intials ‘E LL’ has not yet been identified. Peter Hyland, in his book on the Birkenhead Della Robbia factory, has suggested that because the double LL’s always run together it could be Lloyd or Llewellyn and be to one of the Welsh artists that Harold Rathbone, the founder of the factory, was so proud of. Three holes for hanging in the rim on the back.